▶The refrigerator is a ventilated system, the evaporator is in a separate insulated box on the top. All the materials used in the manufacture of this be suitable for use with foodstuffs. The gases used in refrigerator is R134a; in the refrigerator for frozen food maintenance is R404a. 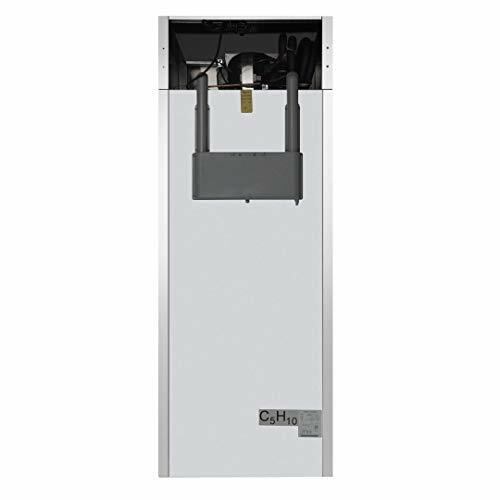 ▶This Atosa MBF8004 commercial reach in refrigerator boasts a 22.6 cubic foot capacity and attractive rounded corners.The unit’s heavy duty 1/4 HP Embraco compressor is top mounted and self contained. 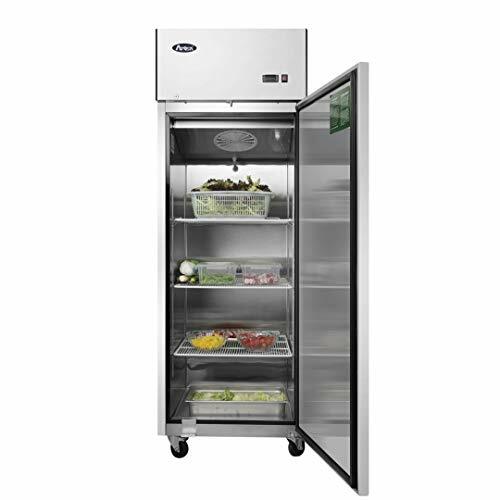 ▶With an interior and exterior made of durable stainless steel, the durable refrigerator is easy to clean and designed for long term commercial use. 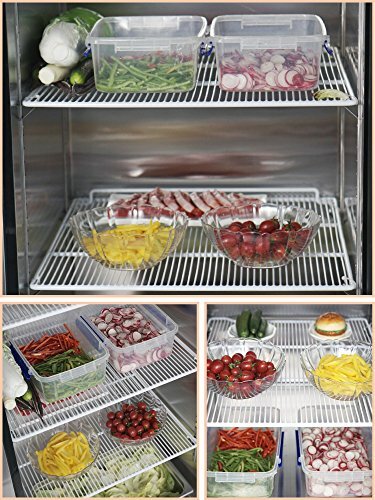 Its temperature ranges from 33 degrees Fahrenheit to 45 degrees Fahrenheit, and its well lit interior provides clear visibility of the refrigerator’s contents. 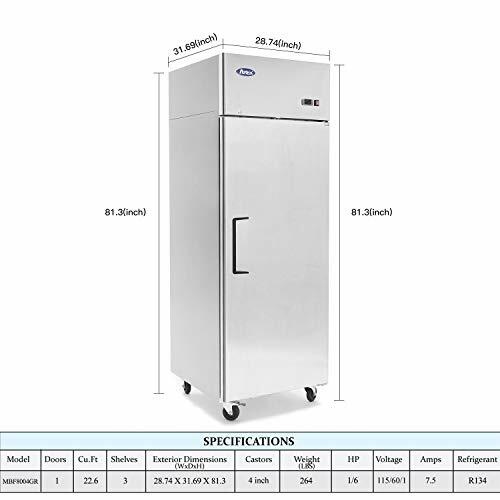 Purchase Commercial Refrigerator,ATOSA MBF8004 Single 1-Door Top Mount Stainless Steel Reach in Commercial Refrigerators combo for Restaurant kitchen 22.6 cu.ft.33℉-38℉ at Discounted Prices ✓ FREE DELIVERY possible on eligible purchases. 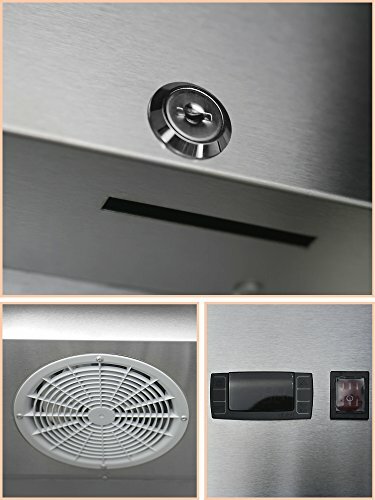 【STAINLESS STEEL】Stainless steel is the defacto finish for those looking to update their kitchen style with new appliances.With its elegant and modern appearance,stainless steel is a perfect neutral tone that can ft into almost any kitchen design.Our premium stainless steel is easy to clean and maintain. 【DIXELL DIGITAL TEMPERATURE CONTROL】Dixell controller is the #1 selling controller used by professionals for refrigeration applications.Dixell temperature controls are needed to control water temperature and water temperature differentials. 【HEAVY DUTY EMBRACO COMPRESSOR】Embarco variable capacity compressors,can save energy up to 40% compared to a conventional compressor and its noise and vibration levels are signifcantly lower. 【MAGNETIC DOOR GASKETS】Our Seals keep Heat,cold,moisture and dust in or out! Flexiblegaskets with magnetic strip inserts provide energy-eficient seals without the use of door latches.These gaskets are NSF approved. ▶This Atosa MBF8004 commercial reach in refrigerator boasts a 22.6 cubic foot capacity and attractive rounded corners.The unit's heavy duty 1/4 HP Embraco compressor is top mounted and self contained. 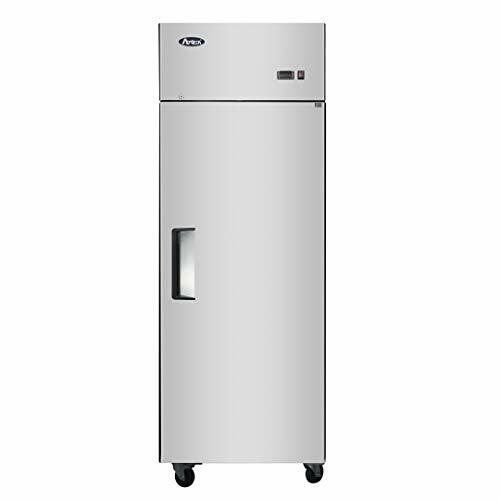 ▶With an interior and exterior made of durable stainless steel, the durable refrigerator is easy to clean and designed for long term commercial use. 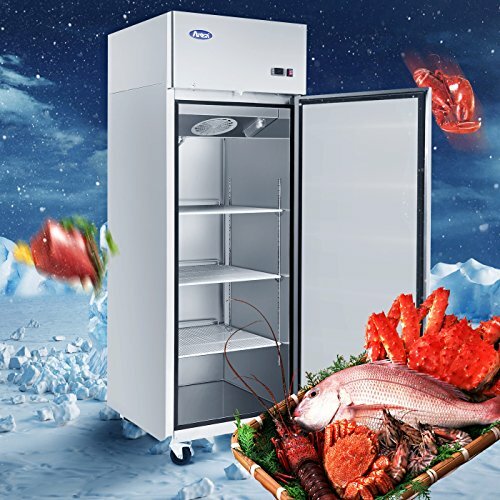 Its temperature ranges from 33 degrees Fahrenheit to 45 degrees Fahrenheit, and its well lit interior provides clear visibility of the refrigerator's contents.